These “reds” are mixed shades of hard, quartzy material, ranging in colour from deep plum to pink & brownish-red to rust. A lot of variety, with some marble-like stones, & an occasional bright red jasper. 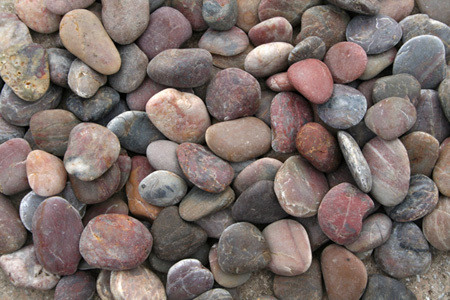 Shapes are generally flat, but there are some fat stones & irregular shapes.